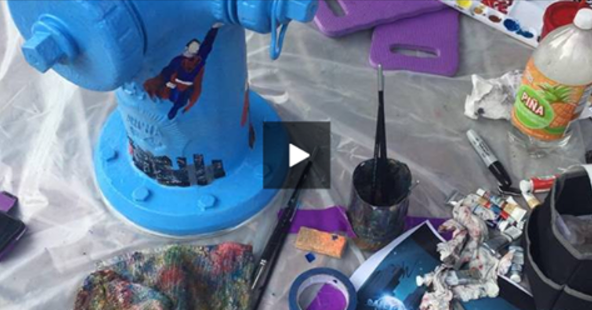 The next fun-filled PAINT-A-HYDRANT event will take place on Saturday, April 27, 2019 as part of the second annual TAKIN’ IT TO THE STREETS public art day. Wilson Downtown Development, the Arts Council of Wilson, the City of Wilson hydrant crew, and Wilson Fire and Rescue will partner to accept applications to sponsor and paint hydrants in the Historic Downtown Wilson municipal service district. All proceeds for this third event will be used to support local firefighters. To sponsor, design, and paint a hydrant in the Historic Downtown Wilson Municipal Service District (MSD), submit the completed application along with payment of $100 and a color sketch on the provided template. Hydrants outside of the MSD are not eligible.